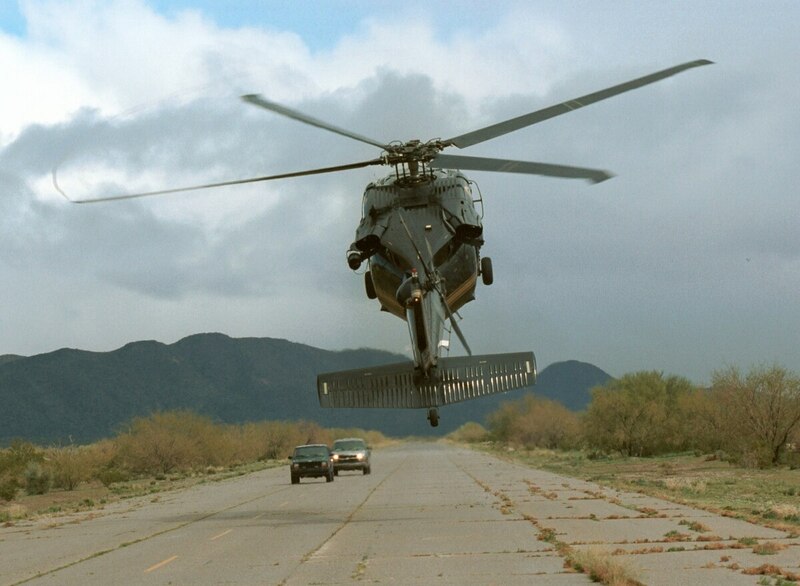 A CBP Air unit UH-60 Blackhawk helicopter intimidates two vehicles on a remote air strip in America's southwest border region. The Army is looking to upgrade its aviation training incorporating cyber and electronic warfare. Approved Army EW and cyber warfare capability synchronized and integrated on and with aviation manned and unmanned platforms along with other aviation systems. Among other elements contractors will be required to provide, the draft statement outlines that the contractor will review existing threat force concepts and capabilities while studying trends and emerging technologies as well as providing subject matter experts for the development of EW and cyber warfare aviation concepts of operations.